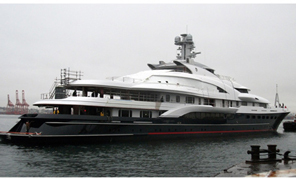 World Superyacht Awards winner 2011 - Diana Yacht Design B.V. Yesterday ATTESSA IV won THE BEST REBUILT YACHT AWARD at the World Superyacht Awards 2011. ATTESSA IV is awarded during a fantastic event in the Guildhall, in the centre of London. We would like to congratulate the complete building team, the team at WYG, the shipyard, the yacht designer Glade Johnson Design and team, the captain, and the yacht’s owner. ATTESSA IV was originally launched in 1999 as Evergreen, and at the moment of (re)-launching she entered the world top 25 private super yachts by length. This project is more than just a refit, it is a re-built, there is not much on the yacht what is left untouched. The complete interior, exterior and engineering were updated. In fact it is a new yacht with excellent quality.